My quilt, Cross Stitch, is in issue 21 of Make Modern magazine (affiliate link), which is available now. The issue includes a lot of other gorgeous designs too, and I can't wait to have time to properly enjoy them all, rather than the quick flick-through I've managed so far. 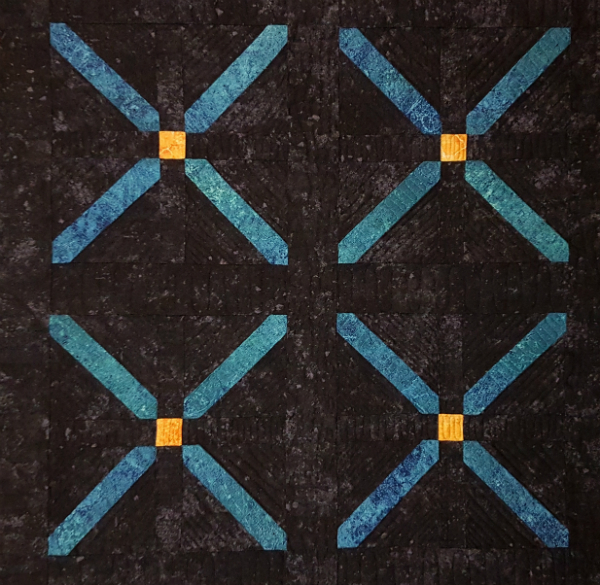 The X design reminds me of the stitches in cross stitch, though they aren't quite the same. 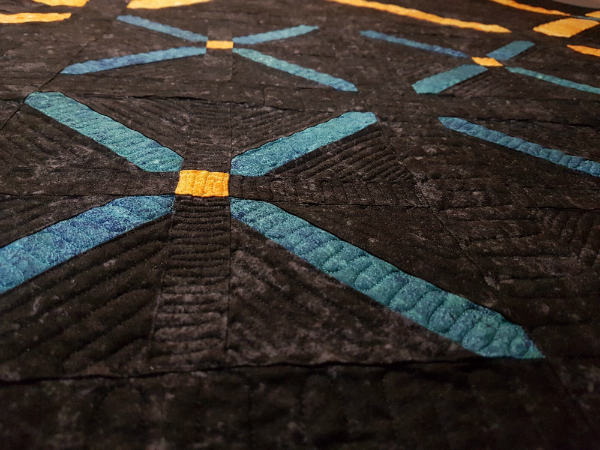 I really loved using the two different sizes of blocks to create the design and the limited palette gives the quilt a striking simplicity. 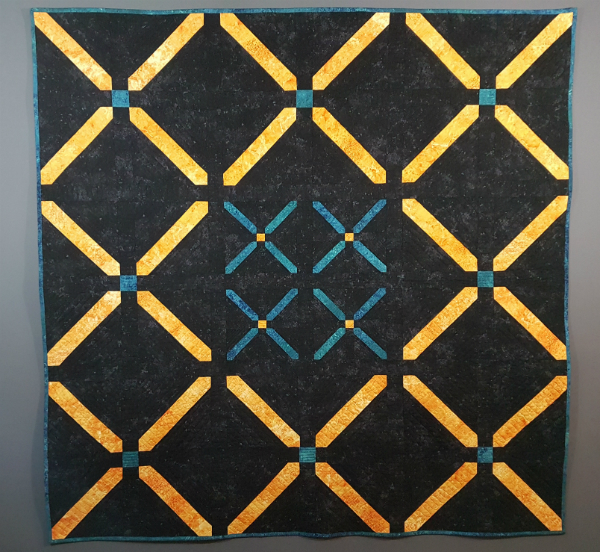 My Cross Stitch quilt is made with fabrics from the Northcott Gradations and Gradations Brights collections. If they look familiar, maybe it's because I used the leftovers to make my Necessary Clutch wallet once the quilt was finished. I have always loved near solids and Northcott makes some of the best ones I've ever seen. There's so much texture in each one. I wish I had yards and yards and yards of all of them! 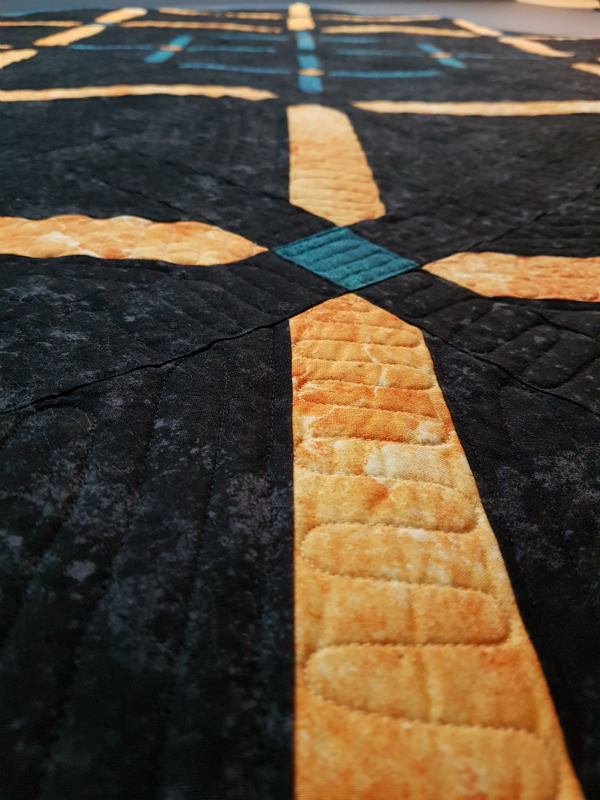 I debated for days about how I would quilt this and I didn't actually decide until I was sitting with it on the sewing machine, with the needle down and ready to go. Talk about waiting until the last minute! I finally decided to do simple back and forth lines, but to vary the direction of the lines to emphasize the shapes in the design. Cross Stitch finishes at 65" x 65" and with only one block (in two sizes) it comes together really quickly. To get your copy of Make Modern issue 21, just click here (affiliate link). Because Make Modern is a digital magazine, you'll get a link to download the issue immediately so you can dive right in 😊 And, since this is issue 21, Make Modern has created bundles of their first 20 issues, so you can pick up bundles of issues 1-10 and issues 11-20 (more affiliate links). I'm willing to bet you'll find lots of fun things to make in there! As always, if you make Cross Stitch, I'd love to see your version, so tag me on IG (devotedquilter) or FB (devotedquilterdesigns) or email me at devotedquilter at gmail dot com. Hopefully you won't have so much trouble deciding how to quilt yours, lol. *Note - this post contains affiliate link, which means that if you click on a link and then make a purchase, I may receive a commission. This does not affect the price you pay. Thanks for you support! Yay! Congrats on the finish and the magazine feature! I do love that magazine! A stunning design, well done on the mag feature! Congratulations on the publication of this cute pattern, Leanne! It's a great one for showing off your favourite fabrics, no matter what your style! Congratulations. It's a striking pattern. Congratulations! 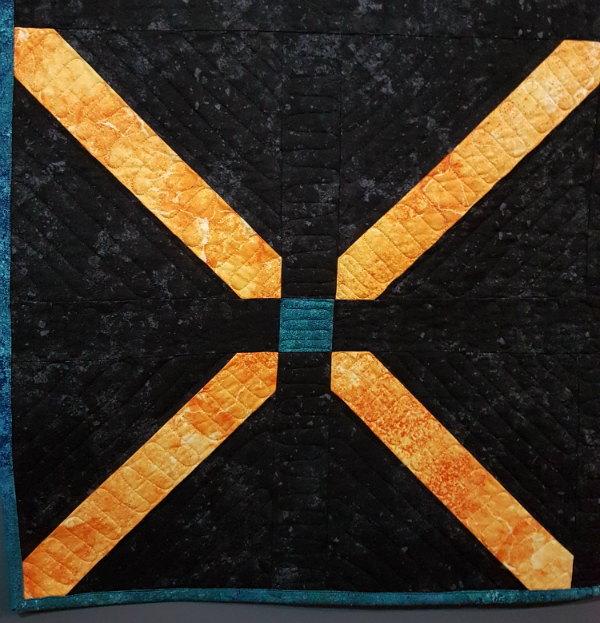 It is a lovely quilt and so lovely to have it published. I love the homage to cross-stitching.